If you are experiencing heavy stuttering that causes the mission to become unplayable, I suggest downloading this FPS Fix version. The mission is set up differently for there are attributes to the AI that have been removed due to the FPS loss on many systems. The overall experience will be altered because of this and some story elements may be confusing. There has also been a reduction to the aesthetic appeal regarding vegetation. Loot list:A special thanks to Tannar for constructing such a wonderful and accurate loot and consumables list. 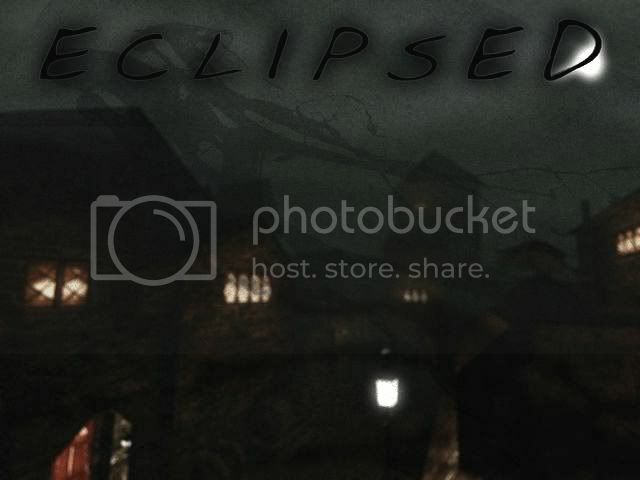 I'd like to thank some people who have made Eclipsed possible. Tannar, Nickie, PotatoGuy, Digital Nightfall, Yandros, undead gamer, bikerdude, Gloria Creep. Digital Nightfall, pavlovscat for uploading. A big thank you to Dussander for his beta forum that was absolutely amazing for testing. Special thanks to Digital Nightfall, Yandros and Nameless Voice for helping me with many questions I had during construction. Last edited by HipBreaker; 22nd Nov 2009 at 01:30. Excellent! This sounds like a good one to play on Halloween. Downloading now! Thanks a bunch! The Halloween fun begins! Congrats HipBreaker! I've been waiting for this one! This is an amazing mission, it will have you on the edge of your seat biting your nails and hair standing on end. The story is wonderful, the attention to detail meticulous, and the gameplay divine. Congratulations, HipBreaker! Just in time for Halloween! Thank you, HipBreaker and the testing team! I've been anxiously awaiting your next creation since Insurrection. What a marvelous treat for the weekend! I'm not sure if this is a spoiler or not, so I'll play it safe. Another rare mission where the blue vase is loot! I can only think of 2, maybe 3, other missions where this happens! Awesome! usually I'm not a fan of sudden chills, but I'll give it a shot and report back... if I survive! mwa-ha-ha! I didn't have time tonight to do a full playthrough, but I loaded it up and went through the first couple of areas and I have to say it looks great! Thank you HipBreaker! I awaited it with so much impatience! I don't have the Enhancement Pack installed. But the game crashes inside the town. I can navigate the street if I keep looking down, but the moment I look up the game crashes. The problem starts at the very beginning of the area that flags the 'Get Inside' objective complete, and from then it persists almost everywhere. EDIT: Found the source of the problem. I have Dedx installed in my Thief directory, and it seems its extra resources were causing the crash. You might want to add this to the mission text too. Now a suggestion: some levers become FrobInert after the first use, and this can cause problems. For example, in the room that you access from the Hammerite's roof, there is a lever to open the gate on the floor. The first time I was standing on the gate without knowing it and pulled the lever. Because the gate didn't open I had to load. Had I saved after pulling the lever I probably would have had to restart the mission. Last edited by Haplo; 31st Oct 2009 at 06:06. So far enjoying this mission, love the atmosphere. But i'm completely and utterly stuck. I have been running around town for an hour now collecting loot but can't seem to progress any further. I found the Book of Vorenthius and Anastasia's ring (don't know what to do with that), turned on some external lights but i can't figure out what to do now. Great! I have been waiting for this one since that preview thread. The ring is a bonuus objective. You'll trigger the objective by reading something hidden near Old Town. Speaking of that, that's where you need to go now: there are two entrances, but one requires something you found on Vorenthius' attic. The electricity plant will be unaccessible until you have gone to the mountain. Find the key to the mountain gate first. Dedx causes a crash for most missions and its rare for people to have it in thier thief folder. I also found some explosive teddies. should I open the door with those? GOOOD... sounds great for Halloween. Ok, I'm currently running around throught the town and so far I never came across that damn "mountain gate key" Any hints, please? Last edited by Silencium18; 31st Oct 2009 at 09:20. - I know I need something from clocktower keeper but where is the key to his safe ? Jeremy: your FM is nothing short of excellent. One of the best this year imho. I see one last dragon artifact behind a magical shield of some sort, with a code needed-but I have NO idea what it is-does anyone have a spoiler?